A Milestone Reached: 10 Years of CISSMUN — CitizenC. 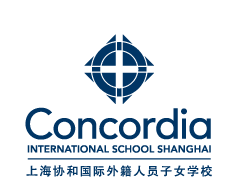 The tenth annual session of the Concordia International School Shanghai Model United Nations conference, CISSMUN X, welcomed 65 schools from 24 countries on five continents for a weekend of debate and diplomacy. Guided by the conference theme “The Cause of Freedom”, students served as delegates of UN members states in an elaborate simulation of the work of the UN. From the General Assembly to the Human Rights Commission to the International Criminal Court, students worked in a formal diplomatic setting to address many of the economic, social and political issues confronting the international community. In addition to their diplomatic labors, students heard keynote speeches from Kenneth Jarrett and Dr. Paula Kahumbu, and all went away enlightened and inspired, and all made new friends from across the world.